Arripis georgianus, known as the ruff, tommy ruff, Australian ruff or the Australian herring, is one of four Australasian fish species within the Arripis genus. 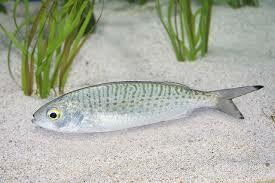 It closely resembles its 'cousin', the Australian salmon Arripis trutta, although it grows to a smaller size. Like the other members of its genus, it is found in cooler waters around the southern coast of Australia. It is not biologically related to the herring family Clupeidae. Further vernacular names of this fish in Australia include bull herring, herring, rough, ruffies, sea herring, tommy, tommy rough and South Australian roughy. Ruff is the global fisheries name used by FAO.